Brussels-City council has approved a motion to spearhead a campaign to improve air quality in school zones. The motion was tabled by environment councillor Khalid Zian (PS). 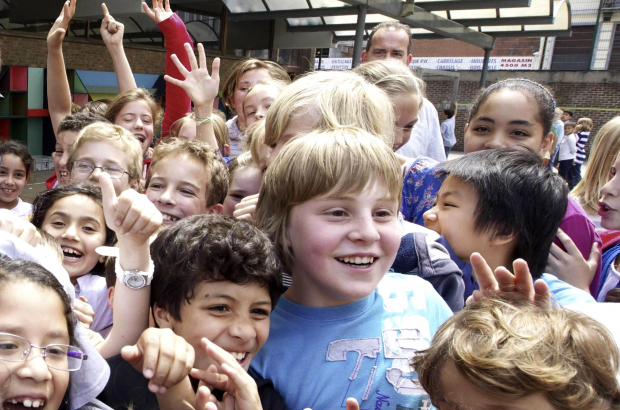 The decision follows the release of the Greenpeace Belgium report Mon Air, Mon École, the first large-scale study on air quality at more than 220 Belgian primary schools. Children are particularly susceptible to health problems caused by fine particles, which have been linked to serious respiratory impairments. Air quality measurements were carried out inside the schools, as well as on playgrounds and at the school gate. Several measurements were taken over the course of four week late last year. More than half the schools were above the limit that the European Union describes as “acceptable”. Five schools were even above the EU’s legal limit for air quality. Another 29 were in the “poor quality” category, while another 100 fell into a “moderate” category. Greenpeace refused to disclose in the report the specific results of each school or of each Belgian region, though it did provide individual reports to the schools themselves. Brussels-City plans a campaign to remind drivers that the speed limit is 30km/h and that it is illegal to let the motor run when a car is parked. It is also working with the region to increase and improve air quality measurements. Other measures include increasing green spaces around schools and making improvements to ventilation infrastructure. "increasing green spaces around schools"...who ever wrote this is completely out of touch with reality.